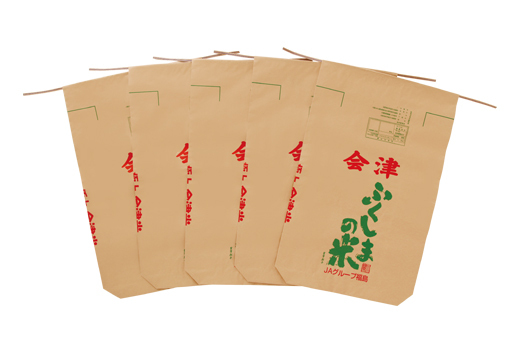 Kraft paper bags, consisting of multilayers (1-4 layers) of kraft paper, are ideal packaging materials for transportation and storage of products. 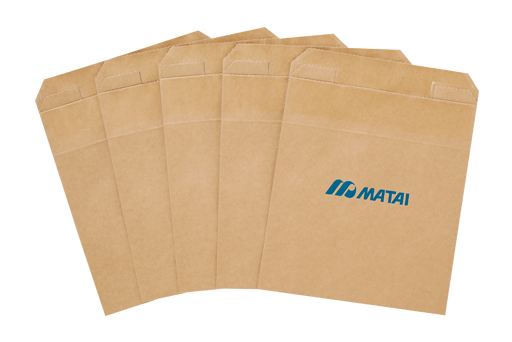 Nihon Matai large kraft paper bags, developed with our original technology cultivated over many years, have earned the trust of customers across many industries for quality and high added value. In addition, as today sees increasing tougher requirements for high quality and safety, we not only produce excellent products at our plants but also pursue a high sanitary level as a pioneer in the industry, thorough implementation of measures such as insect control and contamination prevention, in an effort to provide increased customer safety. 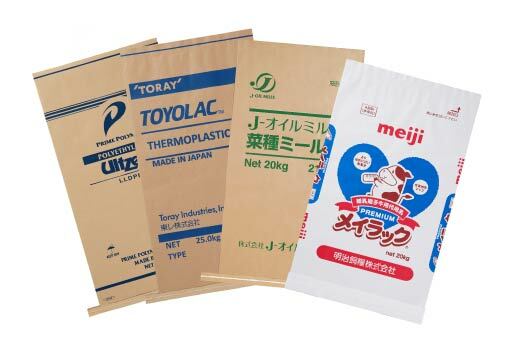 Integrated packaging with special glue. 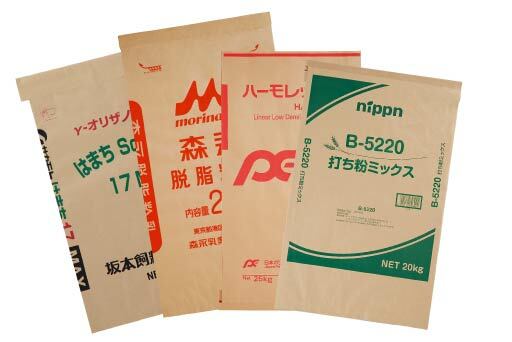 Subsidiary materials such as adhesive tape not needed. 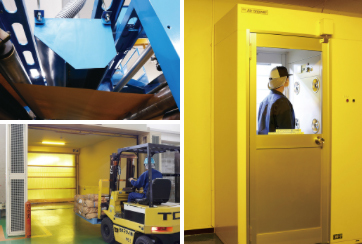 While the food and chemical industries require an increasingly higher level of hygiene, we implement thorough sanitization of the manufacturing environment so that we can offer enhanced safety and security to customers. We will further improve our hygiene management system in the future to implement a better hygiene management together with our customers.